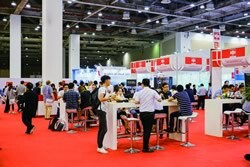 The seventh edition of Valve World Expo Asia has come to a successful conclusion, after featuring 140 exhibitors in a total exhibition space of 8,000 square metres. In all, the trade fair and its accompanying conference were visited by over 6,000 experts. The leading Asian trade fair for industrial valves and fittings took place in Hall B 1 of the Suzhou International Expo Center from 20 to 21 September 2017. 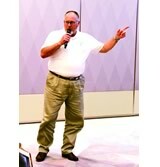 The products which were showcased covered all types of valves and fittings as well as the relevant components, actuators and also the latest developments in measuring and control technology. Furthermore, exhibitors included service providers from the areas of software development, servicing, quality control and testing. The two-day trade fair was accompanied by a conference, held in parallel. 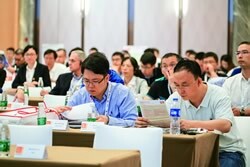 250 delegates met to exchange ideas on innovative technologies and products. 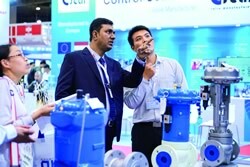 Valve World Expo Asia centred around automation, servicing and inspection. The focus was therefore on the vast area of Industry 4.0 as well as on sustainability and the conservation of resources. As before, the trade fair saw another rise in internationalism among both exhibitors and visitors. 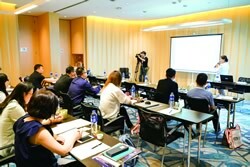 In all, 140 exhibitors had travelled to Suzhou from 14 countries. The industries represented by the trade fair’s 6,000 visitors covered oil and gas, petrochemical, chemical, food, marine and offshore, water and waste management, automotive, mechanical engineering, pharmaceutical, medical engineering and power engineering. 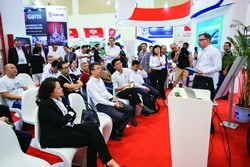 To take account of this development and to facilitate further growth, the next Valve World Expo Asia will be held in Shanghai, and so the Shanghai World Expo Exhibition & Convention Center (SWEECC) will be the meeting point and innovation platform for valve professionals in Asia from 28 to 29 August 2019. Valve World Expo is now in a good position, featuring the world’s number one trade fair for industrial valves and fittings – Valve World Expo Düsseldorf – at the Düsseldorf Exhibition Centre from 27 to 29th of November 2018 and two international satellites, one in China and the other in the United States, held at two-year intervals in odd years. It is thus expanding its position as the leading trade fair of this industry. 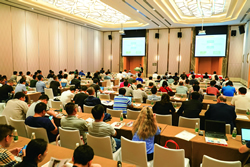 The next Valve World Expo Asia and its accompanying expert conference will be held in Shanghai from 28 to 29 August 2019. We look forward to meeting you in Shanghai.